Aida With Cafe has delicious chiffon cake. They prepare always-menu and seasonal limited ones. 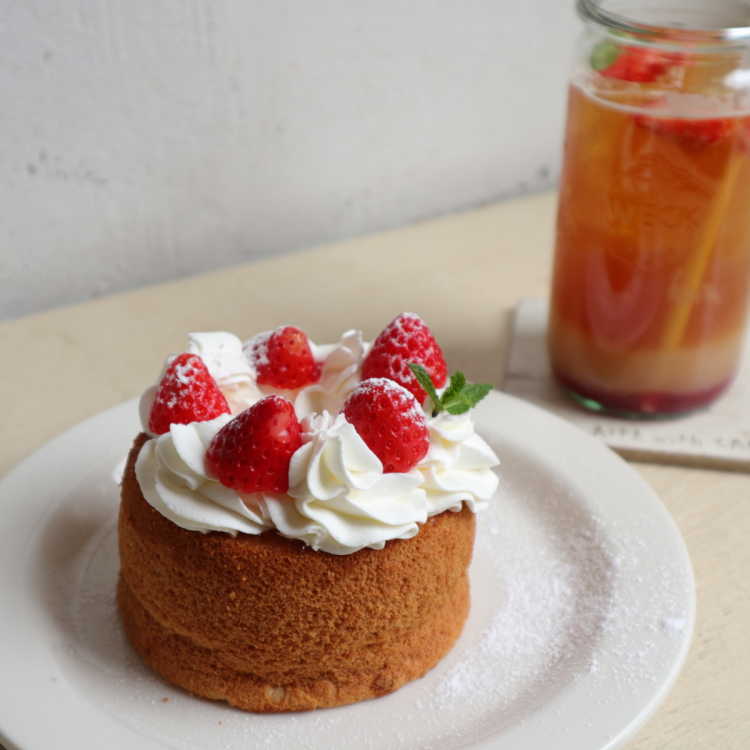 This is a strawberry chiffon cake, which is one of the three spring cakes.